Description: NEW... 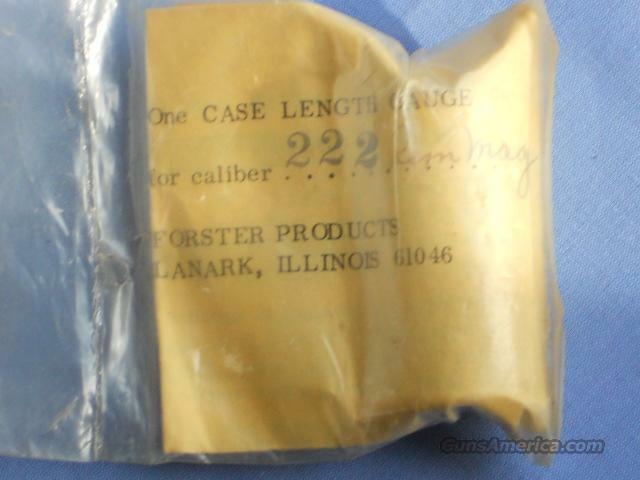 IN AN "UN-OPEN" PACKAGE...FOR .222 REM MAG.............................................................................................The most important use of a cartridge case gage is for setting up 7/8"-14 press type full length resizing dies. A common error in reloading is to oversize your brass. Headspace of fired cases can quickly and accurately be measured using this tool and a caliper.